THIS VARIETY WAS NAMED FOR CALIFORNIA RARE FRUIT GROWER MEMBER ALICE SNOW. IT IS A SEMISWEET MEDIUM SIZED FRUIT THAT IS TYPICALLY 0.5-1.0 LBS. 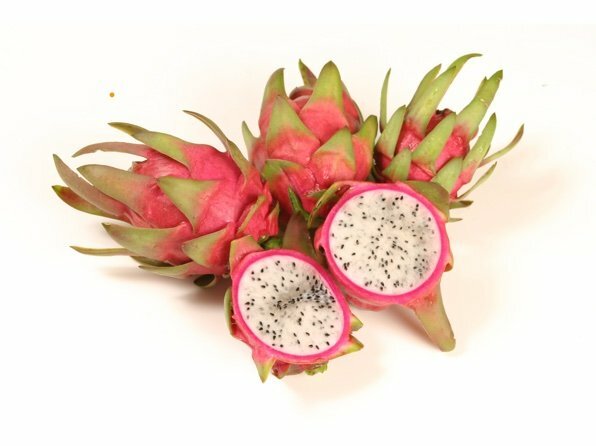 THE OUTER SKIN IS A BRILLIANT HOT PINK WHEN THE FRUIT IS FULLY RIPE MAKING IT ONE OF THE MOST EYE CATCHING OF ALL THE DIFFERENT VARIETIES. THIS VARIETY DOES HOWEVER NEED TO BE CROSS POLLINATED TO SET FRUIT.